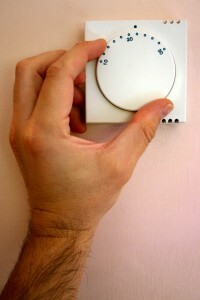 Is your thermostat is set in the “heat” position? Is the temperature setting on the thermostat is set above the indoor temperature? If nothing happens after a few minutes, bump the temperature up another degree or two. Is there power to the furnace? Check the switch next to the furnace to be sure it is in the “ON” position. Most furnace filters should be replaced monthly. A dirty air filter is one of the most common causes of problems in HVAC units. Check all air returns to make sure they are not blocked by furniture. Check all air vents to make sure they are open and blowing warm air. Check your outdoor unit to make sure that no leaves, debris, or weeds may be impeding its performance. Unusual smells emanating from the vents. Abnormal sounds when the unit starts up and is running. Know where indoor and outdoor units are located. Write down the model number(s) from your heating unit(s) and give them to the service company over the phone when you schedule your appointment. If you require replacement parts, they may be able to have them on hand during the initial visit rather than having to schedule a follow-up appointment. Check your air filter(s). If they need to be replaced, this is a quick and easy task you can complete yourself. Otherwise, you’ll just be paying your technician for this simple service. Be ready to clearly describe the symptoms or problems you’ve been experiencing – strange sounds or odors, unit not running, unit not heating, etc. Do you know how long ago your problem started? Make sure the system is easy to get to. If your system is located in an attic or crawl space, move any boxes, old furniture or other obstructions that may be blocking your unit. It behooves you to make sure your indoor and outdoor units are easily accessible for when the technician arrives. Keep pets and small children away from where the technician will be working to ensure their safety. Make sure to answer the phone before your appointment in the event that the technician calls to confirm the time and verify directions. An adult should be home to grant the technician entry to your home. If you have a file containing information on prior services performed on your system, make it available to the technician. Have your checkbook ready and be prepared to make a payment to the technician once the service has been completed. Inspect blower, burner, flue, ignition, fan motor and fan belt on indoor unit. Check for gas leaks from indoor unit. Check airflow from each of the register vents inside house. Clean dirt, leaves and debris from outside unit. Inspect compressor, tubing, coil, cabinet, fan motor and fan blades of outside unit. Check electrical parts such as controls, wiring, and connections on both inside and outside units. Clean, lubricate, replace or repair, as needed. The friendly folks at Highlight Homes can help you come up with additional ways to keep your family warm and toasty during the Fall and Winter months with anything from an outdoor hearth on your custom-designed porch, patio, or deck or a showcase-worthy stacked stone fireplace in your newly remodeled Great Room. If you’re ready to make your home really HOT heading into the cold season, contact Highlight Homes for a no-obligation consultation by calling 678.873.9234, e-mailing your request to info@highlighthomesga.com, or filling out our convenient online contact form. Have a Happy and Warm Fall Season! 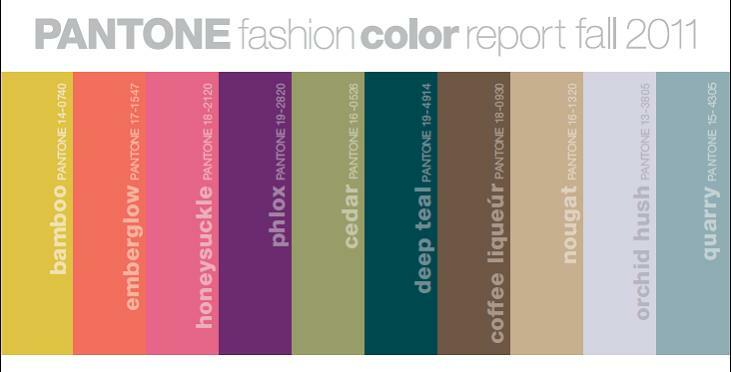 Pantone - THE authority in color - takes a little direction this Fall from the OTHER authority in color, Mother Nature. While the mercury in our temperature gauges may not have received word yet that Fall is on the way, believe it or not – Summer officially gives way to Autumn on Friday, September 23. Take a spin through your favorite mega store, and don’t be surprised to see Halloween candy lining the shelves and Halloween costumes hanging from the racks. Before we know it, it will be time to pull those sweaters out of storage and FINALLY turn off the air conditioning. Within the next month, the leaves will begin changing in the trees, perhaps inspiring a little change at home, as well. Fall is a terrific time to look to Mother Nature and the fashion industry for inspiration, and Highlight Homes is a terrific resource to help you implement that change. One of the easiest and most cost-effective changes you can make to your home’s interior or exterior is your paint color. Taking a cue from New York Fashion Week earlier this year when some of the nation’s brightest designers unveiled their hottest fashion trends for Fall 2011, Pantone – THE authority in color – released its Fashion Color Report. Since fashion trends often bleed over into interior design, we thought you might like to use some of their suggestions as the source for a possible decoration revelation. Titled “The Art of Color – Sensible and Spirited”, the Pantone Fashion Color Report for Fall 2011 suggests a standout yellow with green undertones in its Bamboo (Pantone 14-0740), a radiant fiery orange in its Emberglow (Pantone 17-1547), the color of the year – a playful reddish pink called Honeysuckle (Pantone 18-2120), a deep rich purple in its Phlox (Pantone 19-2820), a soft soothing green in its Cedar (Pantone 16-0526), and an oceanic blue-green in its Deep Teal (Pantone 19-4914) paired with striking neutrals such as Coffee Liquer (Pantone 18-0930) or Nougat (Pantone 16-1320) or grays like Orchid Hush (Pantone 13-3805) or Quarry (Pantone 15-4305). For more of a masculine feel, the warm orange glow of Burnt Sienna (Pantone 17-1544), the luxuriant pink hue of Raspberry Wine (Pantone 18-1741), or the delicate co-mingling of blue and gray in Cadet (Pantone 18-3812) will surely fit the bill. Any of these colors can be used as decorative accents in throw pillows, décor, accent walls, or entire rooms for a striking fall statement that will continue to please year-round. Whether you choose to limit yourself to just a touch of Fall color here and there with a weekend do-it-yourself painting party or have exciting bigger changes in mind and wish to leave the work to the professionals at Highlight Homes, we hope this blog has helped motivate you to put a little Fall on your wall. To schedule a color consultation, the talented team of professionals at Highlight Homes can be reached at 678-873-9234, via e-mail at info@highlighthomesga.com, or via our convenient online contact form. We look forward to your call!